Hope Bryant says: Oh very nice, yin/yang like too. :)	~ Reply? Sunni Smith says: Great job! Love the circular flow. ~ Reply? Kerrie Rusk says: I really like this composition! I would never know that dragons "aren't your thing"! ~ Reply? Sarah Aiston says: I love the composition :)	~ Reply? Edward Cammarota says: Very nice work...gets me dizzy if I stare at the middle. ~ Reply? Catherine Webb says: This is awesome! 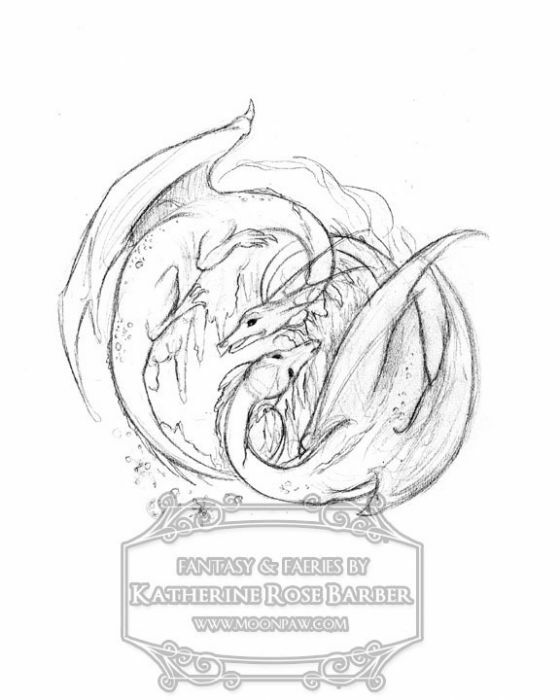 The circular design is really neat and the dragons look fantastic. ~ Reply? Noreen says: Dragons have a way of coming to life through those that are ready! These are wonderful dragons! ~ Reply? Carole Graham says: Dynamic composition. Love it! ~ Reply?